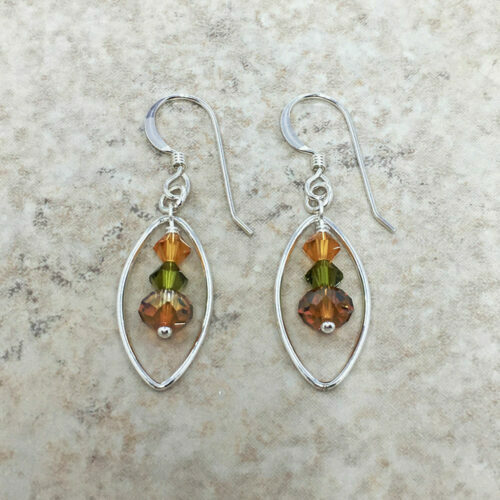 A warm glowing combination of Swarovski crystals including topaz, olive and crystal copper dangle within a sterling silver marque frame which measures approximately 1 inch in length. 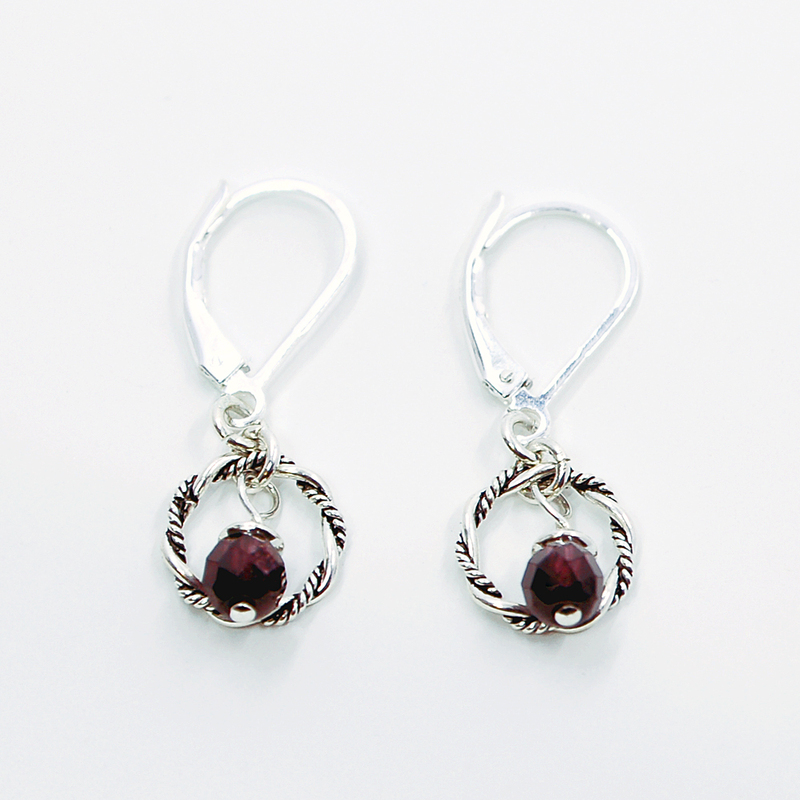 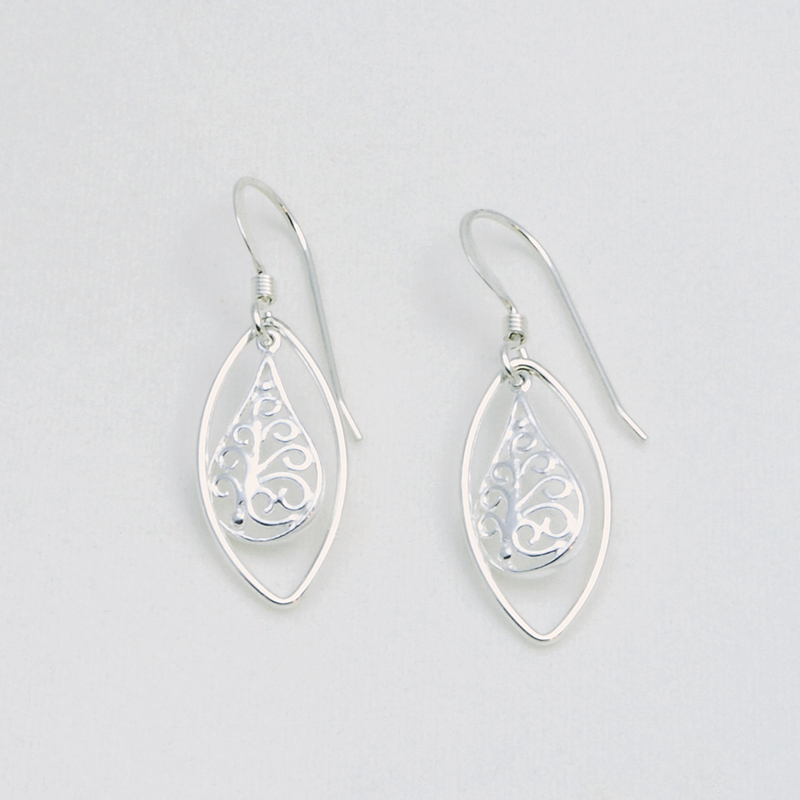 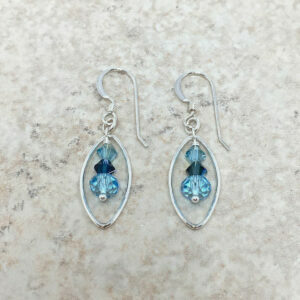 These handmade sterling silver earrings are light weight and nickel free. A great gift for a November birthday!